Many people shop for the lowest priced modular home they can find and they think that it is like shopping for a new car and just compare “feature-to-feature” for pricing. It is paramount to research the “brand” for good quality and that the modular manufacturer has a good reputation in the modular home industry. Unfortunately when people do shop around and when they do find the lowest priced modular home it is usually of inferior quality. In most cases when people choose a modular home solely by the cheapest price they can find, it can be the most expensive and problematic decision they can make in the long run! The “you get what you pay for rule” usually applies here. Also the builder will often use poor quality contractors and brands or even worse there may be no builder involved at all and it is up to the customer to do everything themselves! 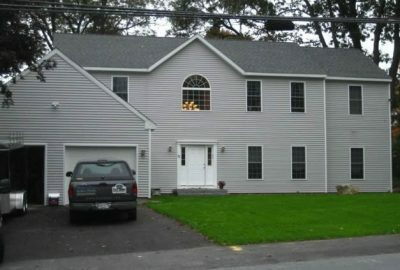 Pro’s Edge builds turnkey modular homes in counties in Eastern Massachusetts and Southern New Hampshire. Scope of Work: Make sure each proposal lists all tasks required to complete your home. If one proposal has a substantially lower price, it probably does not include all the tasks. If you sign a contract that doesn’t include every task, the builder will come back to you for more money after he begins construction of your home. Building Specifications: Look closely at how the estimate proposes to complete each task. A builder can offer a much lower price by selecting a less expensive set of building specifications or by not listing any specifications at all for some tasks. Exclusions: Ask each builder to document in writing which tasks are not included in his proposal. The most complete estimates include these “exclusions” so you aren’t left guessing what you could be responsible for. Allowances: We offer a “Full Contract” price that we will stand behind. We do not work from “Allowances” which other builders may use that could be much lower than actual costs. When comparison shopping with builders proposals always use an “apples-to-apples” comparison. Since there are hundreds of details involved in building a home it can be very difficult to compare the levels of detail. It is paramount that you choose a good reputable builder because you do not want to make a decision that you may later regret.